To get in the Christmas spirit, I’m giving away a paperback copy of my standalone, epic fantasy Visions of Zarua. I opted for UK only this time, but I’ll run another international giveaway in the new year. The ebook is still available free on Kindle Unlimited UK and US. Giveaway ends January 01, 2017. 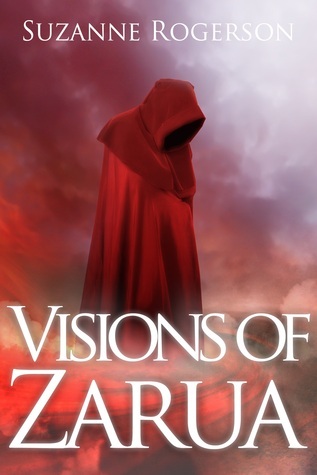 This entry was posted in fantasy, Goodreads giveaway, Visions of Zarua and tagged epic fantasy, fantasy, Goodreads giveaway, Kindle unlimited, Visions of Zarua by suzannerogersonfantasyauthor. Bookmark the permalink.